Texan Girl Talks: That time I started blogging again. That time I started blogging again. Woah. We have to stop meeting like this. It's seriously been a month and a half TWO months since my last post. Yes, we are still alive, but incredibly busy. Fall is obviously in full swing and like every typically white girl, we're definitely on board. All she's missing a #PSL. I cannot even handle all the rolls. My heart explodes a little bit overtime we try to put on pants. 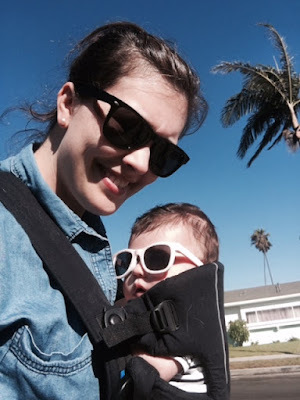 We spend a lot of time baby wearing these days. It couldn't possibly be because she has separation anxiety. Ok, I have the separation anxiety. I curse the bacteria that entered this household for the past month. You read that right a month. We literally all had ear infections. Apparently, we like to share infection in our house. At least she's super cute when she's sick. I blame daycare, the two days of daycare she went to her first week. I work in a hospital and you would think I would bring home the disease.. nope. So going back to work, has got to be one of the hardest things i've ever done. I'm ok once I get there because I'm balls to the wall busy, but before work I'm pretty much a mess. However, now that I work night shift, it's gotten a little better. In the beginning it was pretty rough. People would ask, "oh how is the baby" and all I really wanted to do was scream and wonder why I was at work that day. Oh yes, that's right I need to help pay my massive amount of student loan debt. I just keep telling myself I love being a nurse. 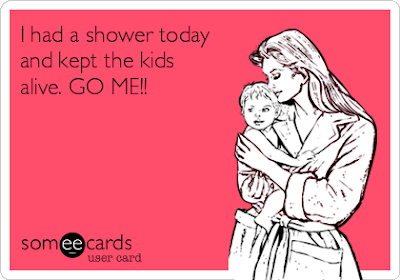 No, I really do, I just might love being a Mama a teeny bit more. Life got exponentially better after she hit about 3 months. She's definitely more predictable and I can plan more for the days that we actually leave the house. Like when we hit up sushi joints or hit up Costco. But really our new normal is really starting to feel normal. I will say the first couple of months I would just think to myself, "what am I doing?!" and to be honest that thought still crosses my mind, because being a mother is not for the faint of heart. This job is seriously the hardest thing i've ever done, the most rewarding, but hardest. I couldn't imagine having two or three at once. Bless the mothers of multiples! I have to remember this is good enough, and it doesn't matter how much I think i'm floundering around. I don't second guess what I say out loud anymore. There used to be a small part of me that would hold back if I didn't agree with someone. That's dead and gone. I don't know if it's because i'm tired or just more ballsy these days, but i'll see how far this one takes me. Sleep is a priority. 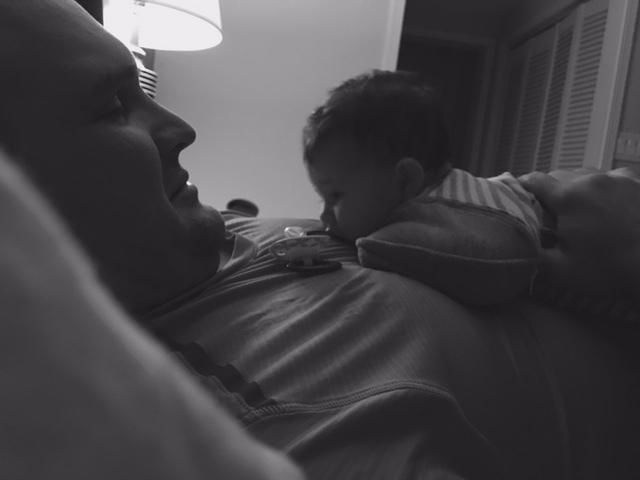 Sleep has always been important, but after having a kid, it's sometimes the only thing that gets me through the day. My whole perspective has changed. When they say you put yourself second when you become a mom, it's totally true. I, all of a sudden feel so much older than the rest of my peers without kids. Is that strange? Maybe it's because i'm a mama bear now, I have no idea. I cherish moments a lot more than I used to and am thankful when time can slow down for a minute.